RUSH, Martha Sevetson. 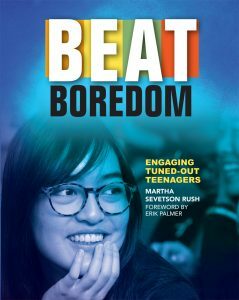 Beat Boredom: Engaging Tuned-Out Teenagers. 204p. bibliog. index. Stenhouse. Dec. 2017. Tr $32. ISBN 9781625311498.